As part of a reproducible work flow, caching of various function calls are a critical component. Down the road, it is likely that an entire work flow from raw data to publication, decision support, report writing, presentation building etc., could be built and be reproducible anywhere, on demand. The reproducible::Cache function is built to work with any R function. However, it becomes very powerful in a SpaDES context because we can build large, powerful applications that are transparent and tied to the raw data that may be many conceptual steps upstream in the workflow. To do this, we have built several customizations within the SpaDES package. Important to this is dealing correctly with the simList, which is an object that has slot that is an environment. But more important are the various tools that can be used at higher levels, i.e., not just for “standard” functions. The function converts all elements that have an environment as part of their attributes into a format that has no unique environment attribute, using format if a function, and as.list in the case of the simList environment. When used within SpaDES modules, Cache (capital C) does not require that the argument cacheRepo be specified. If called from inside a SpaDES module, Cache will use the cacheRepo argument from a call to cachePath(sim), taking the sim from the call stack. Similarly, if no cacheRepo argument is specified, then it will use getOption("spades.cachePath"), which will, by default, be a temporary location with no persistence between R sessions! To persist between sessions, use SpaDES::setPaths() every session. In a SpaDES context, there are several levels of caching that can be used as part of a reproducible workflow. Each level can be used to a modeler’s advantage; and, all can be – and are often – used concurrently. And entire call to spades or experiment can be cached. This will have the effect of eliminating any stochasticity in the model as the output will simply be the cached version of the simList. This is likely most useful in situations where reproducibility is more important than “new” stochasticity (e.g., building decision support systems, apps, final version of a manuscript). This functionality can be achieved within a spades call. Note that if there were any visualizations (here we turned them off with .plotInitialTime = NA above) they will happen the first time through, but not the cached times. This functionality can be achieved within an experiment call. This can be done 2 ways, either: “internally” through the cache argument, which will cache each spades call; or, “externally” which will cache the entire experiment. If there are lots of spades calls, then the former will be slow as the simList will be digested once per spades call. ##   loading memoised result from previous spades call. Here, the simList (and other arguments to experiment) is hashed once, and if it is found to be the same as previous, then the returned list of simList objects is recovered. This means that even a very large experiment, with many replicates and combinations of parameters and modules can be recovered very quickly. Here we show that you can output objects to disk, so the list of simList objects doesn’t get too big. Then, when we recover it in the Cached version, all the files are still there, the list of simList objects is small, so very fast to recover. The second time is way faster. We see the output files in the same location. ##   loading memoised result from previous experiment call. Notice that speed up can be enormous; in this case ~100 times. If the parameter .useCache in the module’s metadata is set to TRUE, then every event in the module will be cached. That means that every time that module is called from within a spades or experiment call, Cache will be called. Only the objects inside the simList that correspond to the inputObjects or the outputObjects from the module metadata will be assessed for caching. For general use, module-level caching would be mostly useful for modules that have no stochasticity, such as data-preparation modules, GIS modules etc. 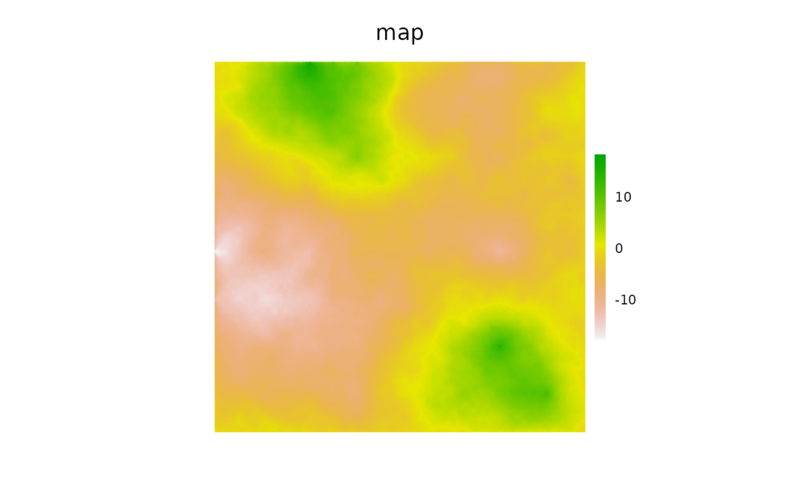 In this example, we will use the cache on the randomLandscapes module. This means that each subsequent call to spades will result in identical outputs from the randomLandscapes module (only!). This would be useful when only one random landscape is needed simply for trying something out, or putting into production code (e.g., publication, decision support, etc.). Test that only layers produced in randomLandscapes are identical, not fireSpread. If the parameter .useCache in the module’s metadata is set to a character or character vector, then that or those event(s), identified by their name, will be cached. That means that every time the event is called from within a spades or experiment call, Cache will be called. Only the objects inside the simList that correspond to the inputObjects or the outputObjects as defined in the module metadata will be assessed for caching inputs or outputs, respectively. The fact that all and only the named inputObjects and outputObjects are cached and returned may be inefficient (i.e., it may cache more objects than are necessary) for individual events. Similar to module-level caching, event-level caching would be mostly useful for events that have no stochasticity, such as data-preparation events, GIS events etc. Here, we don’t change the module-level caching for randomLandscapes, but we add to it a cache for only the “init” event for fireSpread. ##   Using cached copy of init event in fireSpread module. In general, we feel that a liberal use of Cache will make a reusable and reproducible work flow. shiny apps can be made, taking advantage of Cache. Indeed, much of the difficulty in managing data sets and saving them for future use, can be accommodated by caching. If the module is cached, and there are errors when it is run, it almost is guaranteed to be a problem with the inputObjects and outputObjects incorrectly specified.